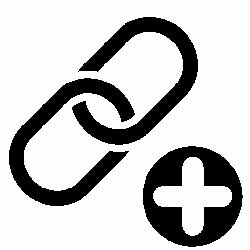 How many internal links on a page? Is there a limit? I got asked this question during my last SEO training session and its an interesting one as there are lots of reasons to have a lot of internal links on a page but will it hurt your rankings? Many online stores will have an awful lot of internal links on a single page. Just think of the large navigation menus, a few drop down category menus and all the footer links, its not difficult to build up a few hundred links on a page and you shouldn’t worry its not going to hurt your rankings at all. A few years ago Google tended to crawl around 100 links on a page but this wasn’t due to any rule or guideline it was what the crawler was set to follow. Nowadays its different, the crawlers and spiders will follow all the links on your page and hopefully index your pages but don’t just go slapping up loads on links, think of your users. This is one of the key things I talk about during my training sessions, make sure you work on your website for the benefit of your users first and the search engines second. You want traffic that converts as an excellent user experience is essential for sales so is having a shed load of links on the page useful to your user? This is really something you need to decide for yourself as you know your user and industry but if you have 1000 products in a store you really don’t need to link to them all from every page. Use categories and a few sub-categories to structure your internal links so that you don’t have to link to everything from every page. Bottom line is it doesn’t really matter how many internal links you have on a page but you don’t want to have too many as it will confuse the life out of your visitors…..keeping everything in proportion usually does the job.